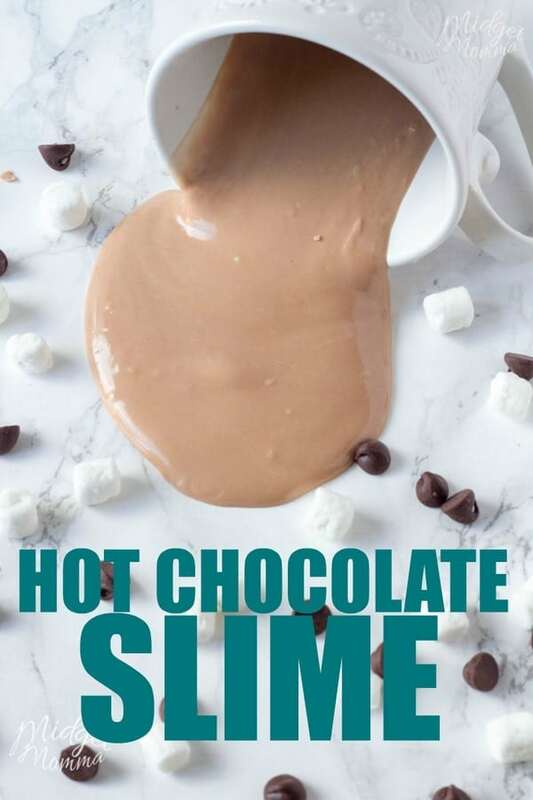 We love edible slime and this edible hot chocolate slime recipe is one of our favorites recently! 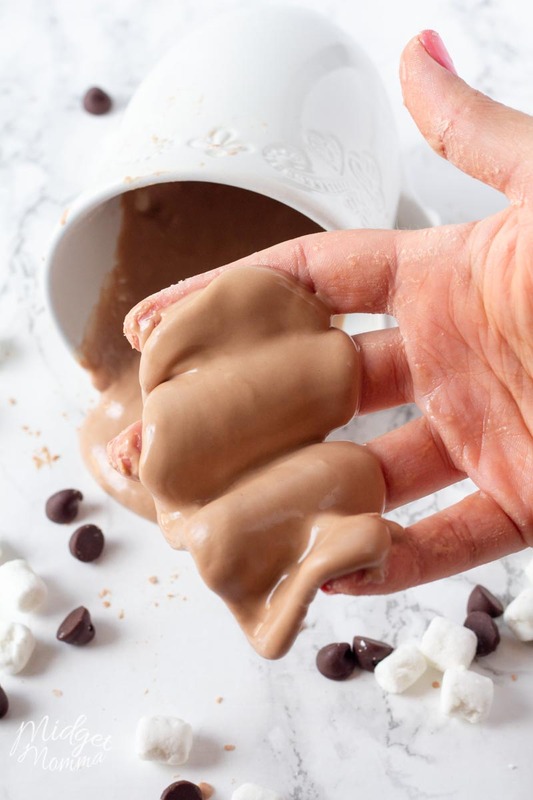 This chocolate slime is made with hot chocolate and is totally edible too! 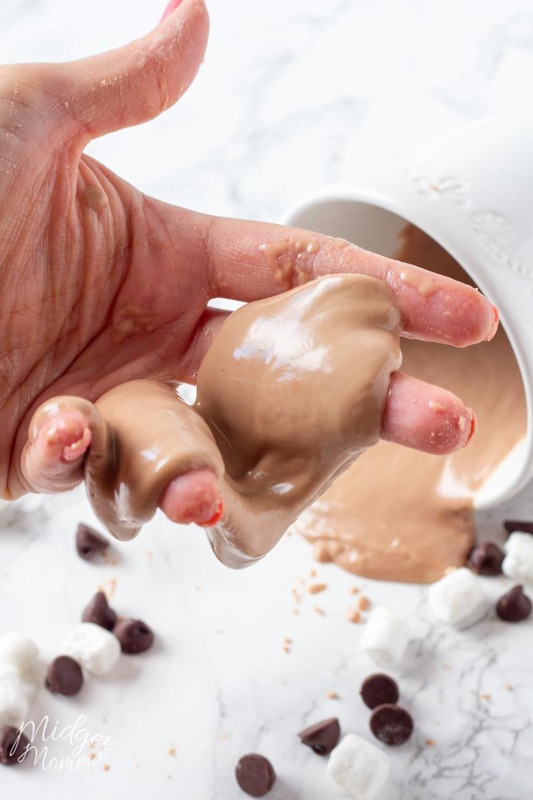 This chocolate slime has the perfect oozey slime consistency that is a must have when making and playing with slime. 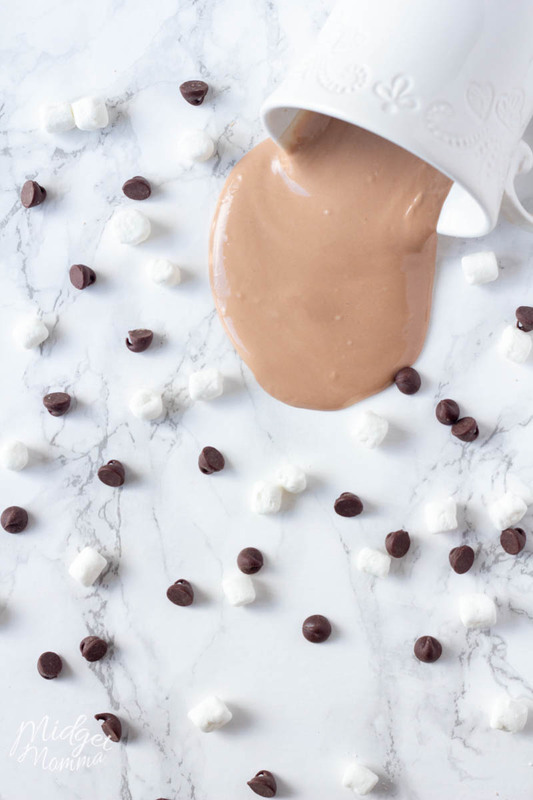 With this chocolate slime recipe you will also learn how to make oobleck. It is sooo much fun! You are all going to LOVE it! 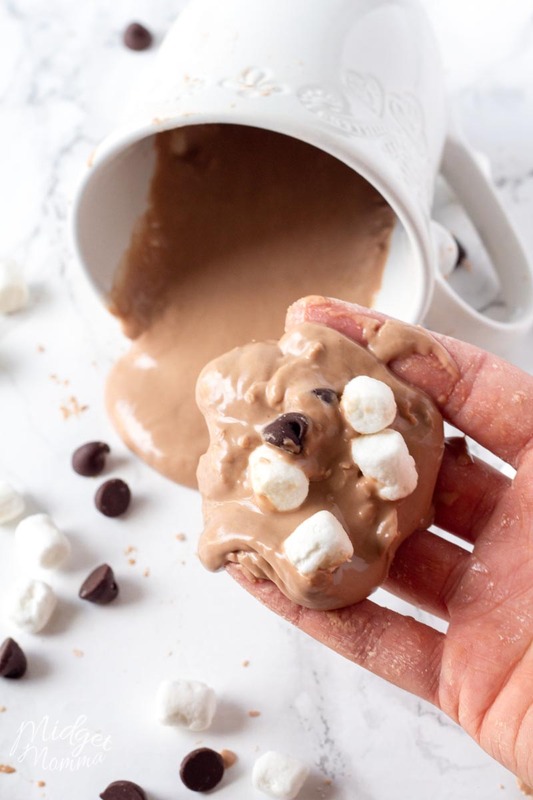 To make this chocolate slime you are going to use a packet of hot chocolate, cornstarch and milk. You can use water to make this chocolate slime, instead of milk however it is going to change the consistency of the slime. 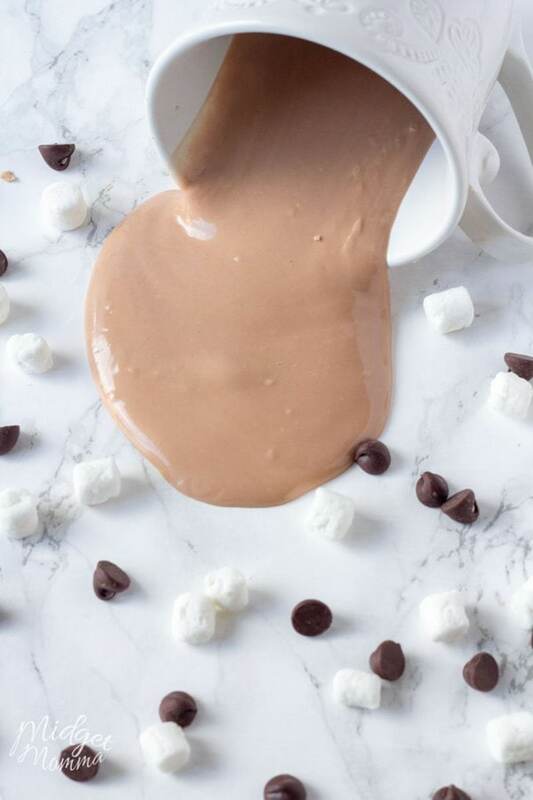 We prefer using milk when making this hot chocolate slime. Then to store it we keep it in the fridge. Now there is a little bit of a difference with this chocolate slime, compared to our other slime recipes that we have shared as this slime takes on different textures when you play with it different ways. Technically this chocolate slime is an oobleck. Oobleck is a non-Newtonian fluid, that changes its texture and shape depending on how it is being played with and the pressure that is put on it. Oobleck is a pressure-dependent substance so as you play with it in different ways then it will change the way it feels and looks. 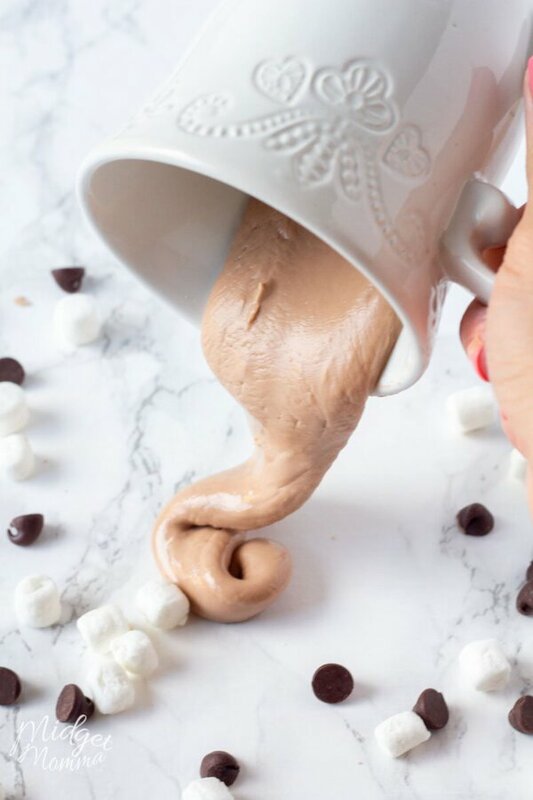 When playing with the chocolate slime made with hot chocolate, you can pour it out of a glass or mug and it will be in a liquid state. If you put it in a mug and then push your fingers in it it will change into a more solid substance. If you put it on the table and push on it you get a squishy texture. This stuff is super cool and makes a great science experiment for kids. If you are trying to figure out if you have the right consistency for this Chocolate slime Oobleck, it is easy. You will know you do when you hold it in your hand and you can squeeze it and it forms a solid, but then when you release your hand the solid turns back into an oozing liquid. In a medium size mixing bowl whisk together the cornstarch and hot chocolate until well combined. Slowly stir in the milk to the cornstarch mixture until well combined. Let your kids see how this slime reacts to being played with.